If you’re a marketer for an asset manager, you’ll know that your industry is changing. 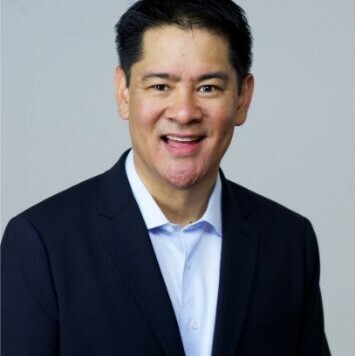 Last year, a study by Willis Towers Watson found that total assets under management (AuM) of the world’s largest 500 managers leapt 15.6% to almost $94 trillion in 2017 – the highest growth in a decade. At the same time, the top 20 firms now manage a record 43% of these assets. That’s quite some consolidation. To maintain growth, asset management firms need to work hard to get the attention of institutional investors who represent anything from pension funds to insurance companies and foundations. First, you need to understand the role that content plays at every point in the institutional investor journey – and how it shapes their investment decisions. To learn more, LinkedIn commissioned Greenwich Associates to interview 277 institutional investors across North America, Europe and Asia. The report discovered that investors are more likely to consult digital media (63%) than finance-specific trade publications (48%). And in the last three years, the number of institutional investors using social media to research asset management firms had nearly doubled – up from 36% in 2015 to 68% in 2018. Keeping an eye on market conditions is an essential part of the job and over a quarter of institutional investors say relevant and tailored news is the most important type of content provided by asset managers. Investors also say LinkedIn is the best media company for providing personalized news content, ranking ahead of Twitter, Bloomberg and Forbes. Finding suitable investment vehicles means in-depth research – and 59% of investors spend 15-30 minutes reading a single piece of content. 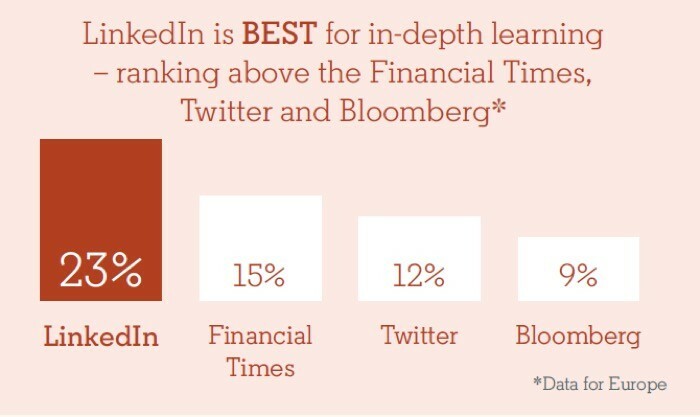 European investors rated LinkedIn above the Financial Times for deep subject matter education. Investors use social media to research asset management firms (68%) and connect with executives at investment firms (64%). They also say LinkedIn is the best media company for keeping track of individuals. Investors may not allocate large sums of money based on a single article – but 20% say quality of published research/content is the most important factor when hiring an asset manager. Once a new relationship is set up, investors still have an ongoing need for market news and research. 58% use social media to access support from their asset manager. The Greenwich Associates report also shows that trust in brand is valued more than the ability to achieve high returns when hiring an asset manager. And for the second year in a row, Brunswick’s Annual Digital Investor Survey found that investors named LinkedIn the most used and most trusted social media platform for investment research. Good content isn’t just nice to have – it can also play a major role in the investor’s decision-making process. Unlike financial advisors who work for individual clients, institutional investors are responsible for a single organization’s assets. In order to make the right investment choices, they need access to a wide range of relevant and timely information. 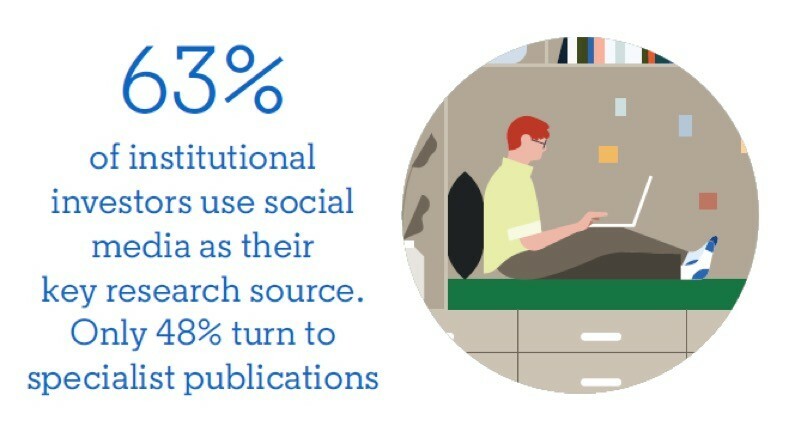 With institutional investors increasingly looking for this information on social media, the report by Greenwich Associates shows how LinkedIn is uniquely placed to provide the content they need at every stage of the journey – from following market trends through to selecting a new manager. To learn more about how you can use LinkedIn for marketing to institutional investors, view our infographic and download the full report ‘Investing in the Digital Age’ here.